Now the biggest gun control victory in America in the last 40 years was the Federal Assault Weapons ban. It also turns out it was their biggest defeat as it woke up the casual gun owners and weekend hunters that indeed any appeasement of the anti-freedom crowd would eventually lead to the confiscation of their firearms. It also created what we now call “Gun Culture 2.0”, where 1.0 Gun Owners were hunters and target shooters, with the occasional revolver, pistol, or shotgun tucked in a bedroom “Just in case”, and the majority of these gun owners lived in rural America. 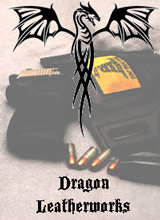 2.0 had the embrace of gun ownership of urban and suburban denizens, interest in concealed carry and defensive shooting, and popularity of practical shooting sports. This advance also further embraced all who were part of 1.0 so long as they weren’t hostile to the rights of the newer generation. This movement has lead to the repeal of many unconstitutional, racist, and counter-productive gun laws, the expansion of concealed carry from a handful of may-issue states to 50 states, and now the District of Columbia having concealed carry, and most of those states with a Shall-Issue system, and of course, the sunset of the AWB. This series of crushing defeats has lead to the cult of anti-freedom to abandon the issue of banning firearms. They still want to ban them, but they know that they simply have zero chance of winning anymore. So now they are doubling down on their runner-up victory which is even older. 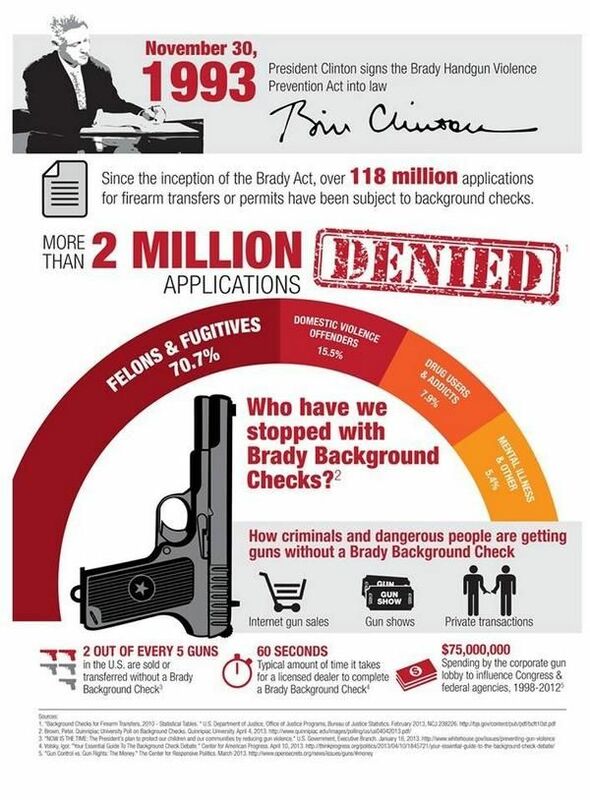 The Brady Background Check Bill. OK while that’s not huge number of denials overall, the appeals numbers aren’t breathtaking. What does it mean? So we aren’t dealing with “Dangerous Criminals”, we’re just dealing with paperwork. Good Job Gun-Grabbers! The White House says the figure comes from a 1997 Institute of Justice report, written by Philip Cook of Duke University and Jens Ludwig of the University of Chicago. This study is based on data collected from a survey in 1994, just the Brady law requirements for background checks was coming into effect. (In fact, the questions concerned purchases in 1993 and 1994, while Brady law went into effect in early 1994.) In other words, this is a really old figure. The data is available for researchers to explore at the Interuniversity consortium on political and social research (ICPSR) at the University of Michigan. Digging deeper, we find that the survey sample was just 251 people. (The survey was done by telephone, using a random-digit-dial method, with a response rate of 50 percent.) With this sample size, the 95 percent confidence interval will be plus or minus 6 percentage points. When all of the “yes” and “probably was” answers were added together, that left 35.7 percent of respondents indicating they did not receive the gun from a licensed firearms dealer. Rounding up gets you to 40 percent, though as we noted the survey sample is so small it could also be rounded down to 30 percent. So get that? First a study that was conducted 17 years ago, about guns transferred 20 years ago, that only surveyed 251 people. So when we’re dealing with tens of millions of transfers, we survey 251 people. The numbers turned out to be just 35.7% which was heavily rounded up. Further “probably was” and “Probably not” answers were also heavily rounded up to “yes” and “no”, and even then the family transfers that even the antis are willing to concede take a HUGE chunk out of that already iffy number. So it COULD be right, or it COULD be crap, either way they quote it as “fact”. The biggest whopper is that it takes “60 seconds for a licensed dealer to complete a Brady Background check”. Where did they get this number? It takes me a few minuets to fill out the 4473 (and that’s not counting the time it takes for the dealer to provide me the form and a pen), It takes more than 60 seconds to dial the phone and wait for an answer. Hell it takes more than 60 seconds for the dealer to read all the information and spell the relevant parts over the phone. Maybe once that’s all said and done it takes 60 seconds for the person on the other end to clear the transfer, but boy it takes me about an hour from the time when I say “OK, I’ll take it!” to when I walk out the door with my new gun. And these are the people dictating how guns are handled in this country? I’ll add a personal note. I’ve been denied. It was on two AR lowers and I got what’s called a provisional. I had to wait a week to pick up my lowers because of it. I am not a prohibited person, the carry permit and the tax-stamps are testimony to that; but sometimes the system hiccups (I also don’t have a common name). I am fairly certain that Brady considers my denial as part of their count and considers it a success that I was delayed in buying two more ARs. A fellow member of the car club locally is going through the process of getting a Unique ID from the FBI because he does have a common enough name and matches the description of a genuine felon with that same name. His security clearance and job with the Navy at MacDill says he’s not a felon himself, but he’s denied every time he tries to buy a gun and has to go through the tedium of proving he’s the OTHER buy with that name. McThag, you hit on something, all right. The Brady Bill is causing harm to some law-abiding people. I was asking myself yesterday if there’s an identifiable population of law-abiding (i. e., non-prohibited) citizens who want to buy a firearm but decline to buy one because they fear the Brady check will trigger inquiries into their income tax status, immigration status, gossip about their firearm purchase, etc. It’s pretty reasonable to me to somehow guesstimate the size of that population, and likewise guesstimate how many self-defense opportunities those folks have had to forego because they were intimidated by Brady into not lawfully buying a firearm. I’m just speculating; I don’t have any real expertise. Second, is there any evidence of where career criminals of yesteryear, way before Brady, actually got their guns? Just speculating again. This time I’m wondering whether folks like Barrow, Dillinger, Nelson, Floyd, and so on bought some, most, all, or none of their firearms from local gun shops. Again, I have no expertise, but I’m guessing there’s a possibility Brady may be a hammer hitting the wrong nail. Why am I seeing bureaucratic and legislative incentives to create a brainless and ever-expanding list of prohibited persons? Milwaukee DA is not prosecuting Possession of a Firearm by a Felon in about Half (47%) of the cases referred by the police. But Milwaukee’s mayor wants more laws. There’s a LOT of fail in that infographic. The “2 in 5 purchases forgo a background check” myth was de-bunked (twice!) by (IIRC) Washington Post’s Fact Checker, using those same numbers. The first time, it got Two Pinocchios for being demonstrably misleading. Then, when Prez 0bama continued to use the flawed statistic to stump for more gun regulation, they “downgraded” it to Three Pinocchios. The really funny thing: According to the first analysis, if he had used the word “transfers” instead of “purchases”, he might have been correct, but it wouldn’t have prompted the outrage of the anti-gun cult. There is no “Internet Loophole” or “Gun Show Loophole” in most places. Private transactions are a thing in most of Free America, but it’s not a “loophole” in the law (something not addressed in the law, therefore presumed to be legal); it’s often specifically exempted by the law (explicitly stated to be legal). “$75,000,000 spent by the gun lobby”: Look at the cite. That’s $75 million, over 15 years, or an average of $5 million per year, or an average of $1-2 per NRA member per year. Furthermore, if you look at the actual source for that citation, here, and read the whole section, you’ll find that in 2012, the Big Bad Gun Rights Lobby (the whole lobby) spent a grand total of $5.6 million lobbying Congress, while Michael Bloomberg’s super-PAC alone spent $8.3 million that year in Congressional races. Just my $0.02 (which shouldn’t be worth any less than Bloomberg’s).